I can't wait to see what she ROLLS OUT next. What a great gift idea! Love that rolling pin! Oh Alexis!! I LOVE how YOU roll!!! What a great hostess gift. Everyone brings wine so this is great. I love this! 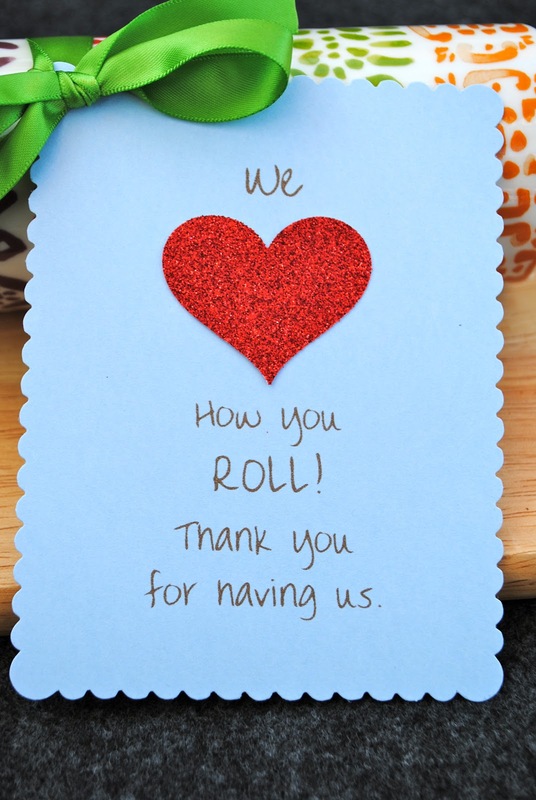 "We love how you roll!"